I wish my grandfather, Allen (Jiggs) Pryor, could have met Mr. O’Connor. I think they would have been good friends with a lot in common. It sounds like Mr. O’Connor was a man who loved life, his family and was not ready to let go just yet. My grandfather was a construction and pipe fitter for many years in his younger days. He enjoyed fishing and hunting and the outdoors. But like Mr. O’Connor he received news he had mesothelioma because of asbestosis he came in contact with while working with insulation, pipe insulation sealants and other construction materials and this eventually let to cancer. They say asbestos was a good insulate because the fibers were strong, flexible and would not burn. My grandfather was a strong man, even in his seventies he could hold on to a pole and lift himself parallel to the ground, so he definitely was flexible. As for burning, every human can burn in his or her own unique way. His heart could burn for the loss of time with his family; I know his family’s heart burns daily with remembrance of him and the times he won’t see, the weddings, the births. So in a way my grandfather was a lot like asbestos, except he never killed anyone. My grandfather chose the medical treatments and even though he was in the hospital a lot, he did live for another five years after being diagnosed. He would still drive his big truck to come and see us and try to live his normal life. My grandfather wasn’t the type to simply “go on a cruise” like the doctors told Mr. O’Connor to do, my grandfather would rather cruise through life at his own pace and meet his friends for coffee, see his grandchildren and children and work on his land with his tractors. I understand many people turn to holistic and healthy nutrition which is what I personally would do, but my grandfather was a different, old school, set in his own ways man. In my opinion, I don’t think he really understood there were different ways to handle this dangerous cancer. I think the public should be better informed with choices, and not just from doctors telling patients to go on cruises and get their finances in order. I do wish someone would have figured out about the asbestos in the 70’s and stopped using it then instead of waiting until the 80’s. That would have been ten years he would not have had to breathe in that cancer machine when he was just trying to make a living for his family. We will never know if the government really knew how unsafe this substance was and didn’t want to release the information. But just think how many second chances and lives would have been saved if they had known to stop the use ten years earlier. 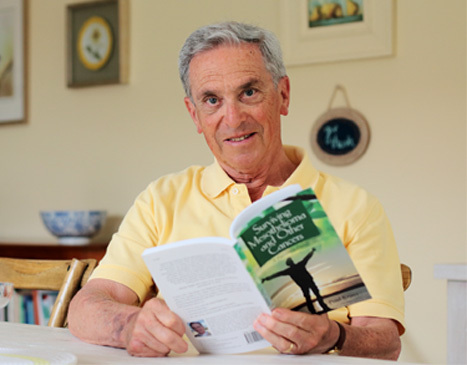 Mr. O’Connor’s book “They Said Months, I Chose Years” should be on every school reading list as a way of getting the word out about this disease. Children would then go home and ask their parents if they or any family member worked around asbestos. This I feel would be a tribute to Mr. O’Connor, and he would look down from Heaven and say, “God’s not finished with me yet.” I know my grandfather believed in God and that I will see him again, but I would like to have gotten the chance for him to see me graduate high school and eventually college. I am currently in my first year at St. Edward’s University in Austin, Texas, and my parents are helping take care of their respective mothers (one with Alzheimer’s) so finances are tight in our home. I would appreciate any consideration for this scholarship and my promise to you would be to honor Mr. O’Connor by graduating and help inform the world about this dreadful disease.